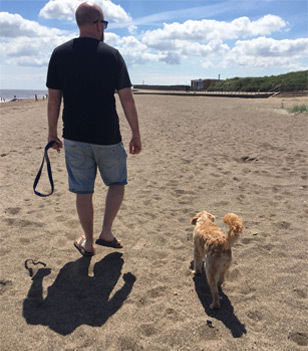 Taking your dog for a walk should be a fun activity for both you and your pooch. However, puppies that are not (yet) trained to walk without pulling or dogs that get overly excited on their walks, can be a handful. For these kinds of dogs, a no-pull harness can be useful. If you are still unsure whether a no-pull harness is suitable for your dog, continue reading. 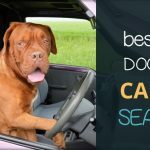 Here, we will take a look at the pros and cons of a dog harness and our recommendations for the best no-pull harness for dogs. 2 What Is A No-Pull Harness? Dog & Field is an UK-made brand that produces a range of dog leads and accessories. This figure 8 halti no pull harness is perhaps the easiest kind to put on your dog. Simply twist into a figure 8 and slide over your dog’s head and snout. This leash is designed to be soft and comfortable for your dog to wear. The lead is made from a braided nylon. There are no metal parts in the lead and there are no bits melted together. 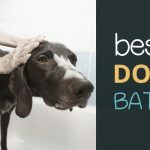 So, you don’t have to worry about the lead rubbing uncomfortably on your dog’s skin. This no-pull harness uses the squeeze-and-lift mechanism to discourage your dog from pulling. The bands around the torso tighten when pulled and give your dog the sensation of being lifted upwards. This teaches your dog that pulling on the lead won’t actually get him further but rather holds him back. Despite the harness keeping your dog in check, Company of Animals has ensured that the no pull harness still gives your dog freedom of movement with elastic bands. Care has been taken to make the no-pull harness comfortable by using a soft fleece material that prevents chafing. The front chest material is a mesh so that the harness is more breathable, too. This is the most complete no-pull harness set that you can buy online right now. The Pure Dog Listeners training harness comes with a leash and even a DVD tutorial for the pet owners that have never used a no pull harness before. The harness has been re-designed to improve comfortability for your dog. The belly strap is now padded with a thick fleece. The design is also more comfortable for you as the new front strap is easily handled from both the left and right-hand side. The PetSafe Easy Walk Deluxe Harness minimizes the choking hazards of dogs that pull on the lead with a band that lies above your dog’s breastbone. The harness is comfortable to wear with neoprene padding on all the bands. This is a front-lead no pull harness meaning that the lead attaches at the front. A front-lead gives the dog walker more control. 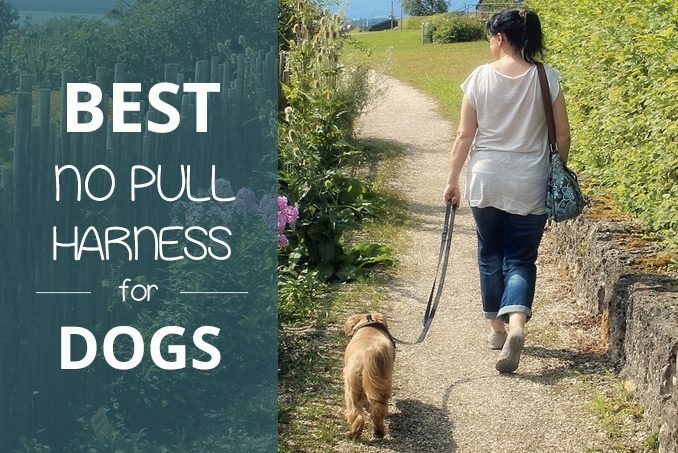 It also works with your dog’s natural reflexes to discourage pulling because when pulling on a front-lead harness your dog is actually pulled back. This front-leading dog harness is a durable design. The harness is made of strong polypropylene webbing which is still lightweight and comfortable enough to not chafe your dog. There are also no metal bits and the design has not been melted together. The design is suitable for both toy breeds and larger dogs of over 100kg. A special perk of the Walk Your Dog With Love’s design is the reflective 3M Scotchlite material that makes your dog visible anywhere you go. The Chaos No Pull Dog Harness is a simple yet effective design for teaching your dog not to pull while on the lead. The bands around the chest and girth will tighten when Rover pulls on the lead. This not only pulls back your dog but since this is a front-lead harness will also re-direct your dog’s attention to you. The design is easy to put on your dog. Simply slide over your dog’s head as you would with a regular collar and then clip the harness together. Easy as one, two three. This sturdy yet comfortable dog harness gives you more control over your dog’s movement with the back handle. A back handle gives you extra grip over your dog so this design is recommended for pet owners with larger and stronger breeds. There is also a ring on the back which can be used to attach your lead but also to attach your dog to a seatbelt. This makes the Lifepul design a great option for family trips. The Lifepul vest is made from strong nylon material on the outside with soft padding on the inside. It is sturdy yet comfortable design specifically made with larger breeds in mind. This no-pull harness will have your dog looking cool walking the streets at night with its reflective lighting. If you like to go on adventurous walks in the woods or live in an area with lots of cars driving at night, then this is the safest harness option for your buddy. The DPower Luxury No-Pull Dog Harness is lightweight despite covering a large part of the dog’s back. Also, the combination of Oxfort material, sponge padding around the belly and back and a mesh design make for a comfortable fit. Finding the right size for this harness is important so make sure to properly measure your dog’s girth. An ill-fitting harness will cause chafing and won’t be effective in dog training. 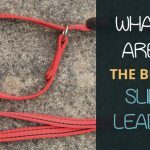 The name already says it, a no-pull harness for dogs is meant to keep dogs from pulling when on a leash. Some pet owners will prefer a no-pull harness over a collar because a harness gives the walker more control. There is also no risk of constricting the airways as with a collar. Scroll further to read more about collars versus no-pull harnesses. A no-pull harness is different to a dog collar as it wraps around the dog’s body instead of around Fido’s neck. There is also a type of no-pull harness that wraps around a dog’s muzzle, called a head collar or head halter. A good no-pull harness is designed to discourage pulling without harming the dog. It does so by tightening around certain body parts of the dog when pulled. This makes pulling uncomfortable and encourages the dog to walk by your side. The head harness will also pull the dog’s face back towards the walker. Some no-pull harnesses are designed specifically with larger stronger dogs in mind. Such harnesses will have an extra grip on them for the walker to hold on to. Wearing a no-pull harness alone will not teach your dog to behave during walks. It is the owner’s responsibility to train their dog in appropriate outdoor behaviour. A no-pull harness only serves as a training tool for your pup. 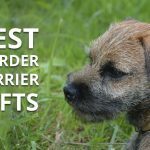 They are intended to help teach your dog to walk without pulling and to get more control over dogs that are easily distracted during walks. Unlike a collar, a no-pull harness cannot be worn continuously. Keeping a dog in a no-pull harness for too long can cause chafing and alter Rover’s gait. Always remove the no-pull harness after the walk. There are several types of no-pull harness available for your dog. The different features will make one no-pull harness more suitable for certain dogs and less suitable for others. Before purchasing your own, consider the different types of no-pull harness and how this will impact your pooch. A head halter, also known as a head collar, wraps around the muzzle of a dog. The advantage of a head halter is that whenever the dog pulls, its head is directed back towards the owner. This may help to teach your dog to pay closer attention to you during your walks. Some head halters will have a figure 8 shape that can easily be pulled over a dog’s head and muzzle. This way you don’t have to struggle with any closings when putting on the harness. When choosing any no-pull harness, but especially when choosing a head halter, make sure the harness is comfortable to wear. This head halter is made of braided nylon without any rough melted nylon or metal bits. The most common type of no-pull harness is the one that clips to the leash at the back. Depending on the design, the bands will be placed around different parts of the dog’s body. Most will feature a band around the girth or belly and the chest. These bands will tighten when the dog pulls so that pulling is made uncomfortable. A back-lead harness might be more suitable for smaller dogs. A harness distributes the tension over the dog’s body which protects the smaller more delicate dogs from injury. A back-lead harness with a squeeze-and-lift mechanism will make your dog feel like he is lifted up which quickly halts his pulling. This will be more effective on smaller dogs. With a back-lead no-pull harness the fit is very important or it won’t be an effective training tool. Try this fleece-padded back-lead harness that comes with a tutorial DVD if you would like to know more about the correct use of a no-pull harness. A front-lead harness will have the hook to clip the leash at the front of the harness. Usually, there is a band that wraps around the dog’s girth and the other band with the leash hook in front of his chest. This style of no pull harness is also sometimes referred to as a chest harness. A front-lead no pull harness can be an effective tool for training simply because the leash is attached to the front. The dog will be more inclined to follow your guidance with a front-lead harness. Pulling will be discouraged by the bands tightening around its chest. It is important that this type of no-pull harness is fitted well to your dog. Otherwise, the harness might cause chafing or your dog might get tangled in the bands. Prevent chafing of the chest with a no-pull harness that has soft padding like this one. Or feel extra safe while walking your dog at night with a front-lead harness that has reflective lighting incorporated in its design with this option. This front-lead harness will also clip at the front which lets you place the harness on your dog like a regular collar. A vest harness covers more area of a dog’s chest and back. You may have seen police dogs wearing these kinds of harnesses. A vest harness might be more suitable for larger dogs. It gives the dogs more support and the walker more control. Unlike no-pull harnesses made out of bands, a vest harness does not tighten around the dog’s body. A vest harness can still give the walker plenty of control such as this vest harness with an extra hand grip at the back. Look for a vest harness with padding and mesh to avoid chafing and to keep the harness material breathable. 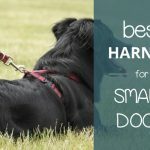 If your dog is already well-trained, then a collar and leash should be sufficient for walks. A no-pull harness is more a training tool than a permanent fixture for your pup. There are advantages and disadvantages to both types of restraints. Here follows an evaluation of both a non-pull harness and collar. It will be easier for your four-legged friend to get accustomed to wearing a collar than a no-pull harness. Wearing a collar without a leash is less restrictive to your dog than wearing a non-pull harness. A well-fitting collar that doesn’t chafe or put strain on the neck can be worn continuously. This is not the case with a no-pull harness. No matter how well-intended the design of a no-pull harness is, it cannot be worn continuously. Even with padding, a non-pull harness impacts a dog’s movement. Wearing a no pull harness with the wrong fit or wearing it for too long can change a dog’s gait. This may lead to health conditions related to its posture. The fit is especially important with a no-pull harness. Because a no pull harness will impact different parts of a dog’s body such as Rover’s chest, belly and back, the fit needs to be just right. Do proper measurements of your dog to help you choose the right size for a dog harness. Even then, a non-pull harness will need to be adjusted with every use. A no pull harness is a helpful training tool for your new puppy. It gives the walker greater control over the dog so that instilling good walking behaviour is made easier. However, good walking behaviour can also be taught by a collar and leash if the appropriate teaching methods are applied. Since a collar doesn’t need to be taken off after the walks, it can function as an identifier too. Especially when your dog is not chipped, a collar with your pet’s name and address will come in handy in case he gets lost. Don’t risk losing your dog because people don’t know where to return him to. This is why some dog lovers will choose to use a no-pull harness during walks but a collar for when the dog is at home. The main safety concern of collars is the choking hazard when pulling. Collars that don’t have any stretch in them can become dangerously tight with excited behaviour. Especially dogs with short necks like Pugs and French Bulldogs are at greater risk. For a pug the risk goes as far possibly popping out his eyes when being choked by a collar. Never use a collar that is designed to constrict a dog. These are health hazards and can be extremely painful for your dog. A no-pull harness is never placed around the neck so a well-fitting no pull harness is not a choking hazard. Be careful when using a head halter, though. Head halters similar to a dog muzzler can irritate your dog. For large breeds like a Great Dane, a no-pull harness might be preferable. Strong heavy dogs will be easier to control with a non-pull harness for those pet owners with a smaller physique. Both collars and non-pull harnesses can get caught on things. A non-pull harness even more so as it simply has more parts to it. 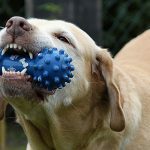 When dogs play, one of the dogs might get caught in the collar when he is biting. On walks, you dog might get tangled in the leash if you are not careful. However, getting tangled on other objects is a greater risk with a non-pull harness. Especially when your dog is still getting used to the form. A collar is easier to put on than a no-pull harness. Collars can be worn continuously, though avoid doing so with heavier collars such as steel chain collars. Putting on a non-pull harness is more complicated than putting on a collar. A non-pull harness has more parts and needs to be fitted around different body parts. A dog that is sensitive about having its legs touched will not enjoy putting on a vest harness. A playful puppy might also not be as cooperative when putting on a non-pull harness. Both collars and non-pull harnesses have its advantages and disadvantages. Where a no-pull harness is designed specifically for training dogs in their walks, collars have a broader use. Remember that a non-pull harness is only a training tool and that you still need to spend time on teaching your dog good behaviour. Depending on your dog’s breed, certain non-pull harnesses may be more appropriate than other designs or even collars. Spend time researching designs of no-pull harnesses reviews before purchasing one. Once you are aware of the options and impact of a non-pull harness, you can make your decision. Disclaimer : A non-pull harness is not a solution for dogs that are not trained enough to behave. Regardless of wearing a collar or non-pull harness, a dog should know to obey their pet owner in all environments. If walks or going outdoors are a problem for you and your dog, consult your vet or consider meeting with a dog trainer.